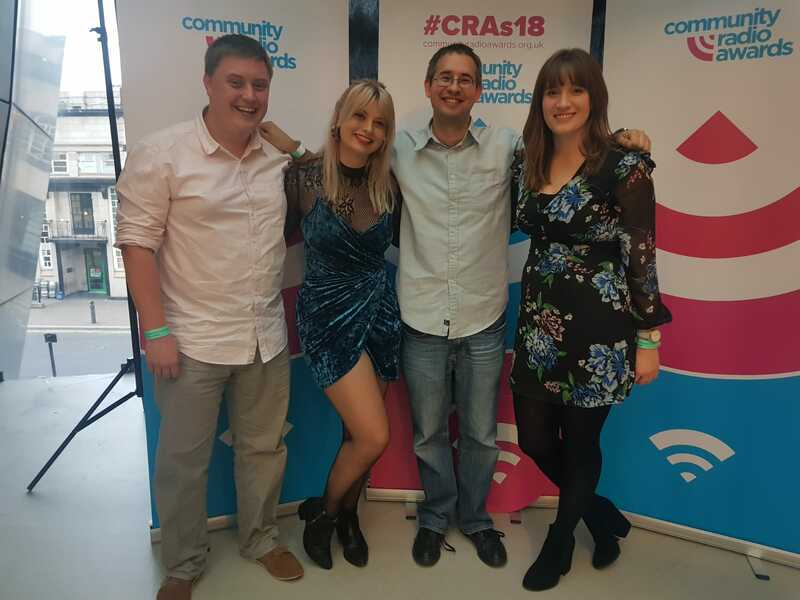 A Cardiff-based radio show has picked up a prestigious gong at the UK Community Radio Awards, becoming the first programme from South Wales to pick up an accolade in the event’s three-year history. OB’s Saturday Sport Show, presented and produced by Chris O’Brien on Radio Cardiff 98.7FM, collected the silver award for the UK Sports Show of the Year at the 2018 ceremony in Sheffield. The show hit the airwaves in July 2016 – and features sports news, opinion and interviews from in, around and beyond Wales’ capital city, with an ethos based around offering parity of coverage for Cardiff’s professional scene and its thriving grassroots sporting community. OB’s Saturday Sport Show was the only programming from Wales to collect an award at September’s Sheffield ceremony. More than 360 entries were received for the awards from more than 85 stations, which were whittled down into a shortlist before the announcement of the winners at Sheffield Hallam Students’ Union. In recent weeks, O’Brien’s show has moved to a new slot, switching to Thursday evenings between 8pm and 9pm, and renamed ‘The Terrace’. Upon collecting the award, O’Brien said: “I’m absolutely over the moon to have landed silver for the UK’s Sports Show of the Year, at the 2018 Community Radio Awards. “The show has at its heart an ethos of offering a parity of platform to Cardiff’s professional sports arena, with the grassroots scene that makes our capital tick as a hub of sporting participation and achievement. “It’s an immense privilege to broadcast at Radio Cardiff – the only terrestrial station of any kind that broadcasts exclusively to Wales’ capital city, with dozens of volunteers making our station what it is today. 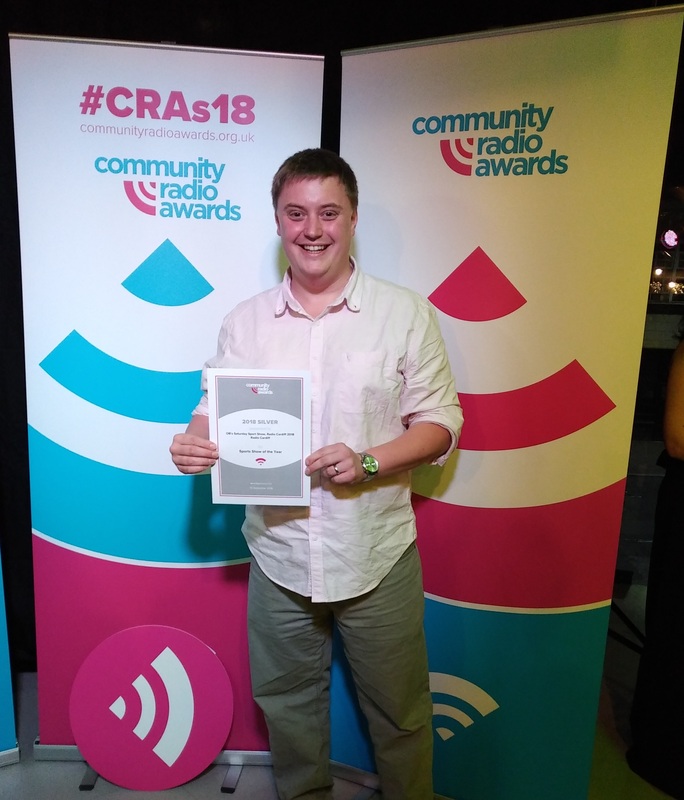 “Community radio remains a relatively new sector in the UK – and yet it’s so amazing to see the vast number of stations delivering local, accessible content to listeners; and to utilise events such as these awards to share ideas and ambitions for community broadcasting. “It’s been a real honour, and a great coup, to welcome guests like world heavyweight champion Anthony Joshua onto the show – but – in the same breath – we’re equally delighted to feature local clubs and sportspeople from our city’s thriving grassroots scene. That’s what community radio should all be about. Four Radio Cardiff DJs, presenters and programmes in total made the shortlist this year – including Louise Schofield, Rhys Phillips’ Birdland jazz show and the station’s flagship ‘Cardiff This Week’ programme – presented by Phillips and Ella West. Radio Cardiff broadcasts an array of diverse musical styles, local and national news and community interest programmes, every day – and is available on 98.7FM and online, including via its own dedicated app.